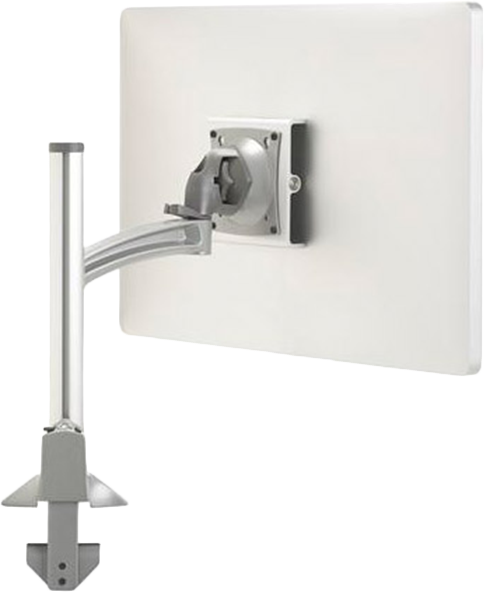 The Single Articulating Column Mount is great for hospital areas, offices and at home. It has tool-free cable management clips, providing a clean and professional look. This mount has effortless fingertip monitor positioning. It floats your displays in the optimal ergonomic position to create a more productive and comfortable workspace. With quick-release monitor interface, it has easy maintenance. Easily clamps to edge of desk, through standard grommet holes or through bolt holes.